We are just waiting for Tim Horton's,Milio's Sandwich Shop and so on to announce locations. https://data.kcmo.org/Development-Revie ... /ytzy-pkcf 2 Quik Trips and a Discount Tire. I went in that Winsteads once. It was horribly slow for as dead as they were. They didn't keep up with what went in around them. The Winstead's on the Plaza has been on a downward slide for awhile, and I can't imagine how it can stay open much longer. 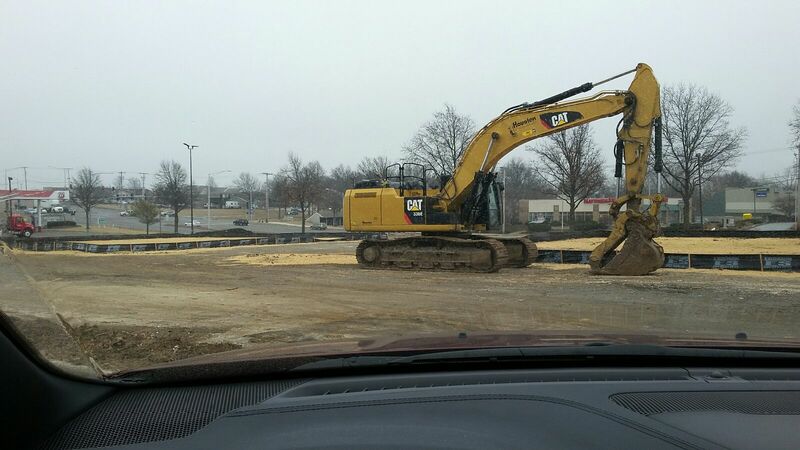 This will be a new multi-tenant building with the Panera up the street relocating to take an endcap w/ Drive-thru. Wait a sec... I know this quote is two years old, but do you have any reason to think Milio's is expanding down here? I loved Milio's when I lived in Wisconsin. And speaking of Wisconsin, don't expect Shopko down here anytime soon. If we're to get a Walmart and Target competitor it would be Meijer or Farm and Home store. Capriotti's is coming so is Del Taco,DKM Burger and others. Hopefully McCalister's Deli expands. Last edited by mgsports on Thu Feb 07, 2019 5:44 pm, edited 1 time in total. Their's chains in southern KS/MO,OK/Arkansas that could come here like Braums won't,Whataburger,In and Out and so on. Mike Liautaud, the guy who founded Milio's, is a cousin to the founder of Ebert and Gerbert's, as well as Jimmy John's cousin. No word if Mike also likes to go big-game hunting, though. Yep. Braum’s definitely won’t. They won’t expand beyond 300 miles from their farm. KC is about 380. But maybe expand to Ottawa,KS and Butler,MO. Mad Greens would be good in this area. Braums wouldn't go there either. It is lesser from Springfield,MO to Butler,MO. It might go as far as Warsaw,MO and Lebanon,MO. I'm over Braums, the first couple times I fell in love with there Hot Fudge Sundae with the Almonds, the last 3 times have at different locations have all been horrible. The Burgers are Hockey Pucks and kind of gross. Its kind of an average fast food place, above average ice cream and a little mini market that has pretty good prices. You're trying to explain distance to a member who thinks that Meijer is going to build a store in KC 800 miles away from their nearest location and will be willing to hop entire states in the process lol. Never said Meijer would build here but would be good here so would Braums but that's not happening at moment. so would Braums but that's not happening at moment.